Are looking for an exciting career in an industry that’s quickly growing, in demand and, most importantly, fun? In today’s ever-changing world full of new technology and abundant consumer choices, the hospitality industry is looking for savvy professional managers to lead it into the future. What is Hospitality Business Management? 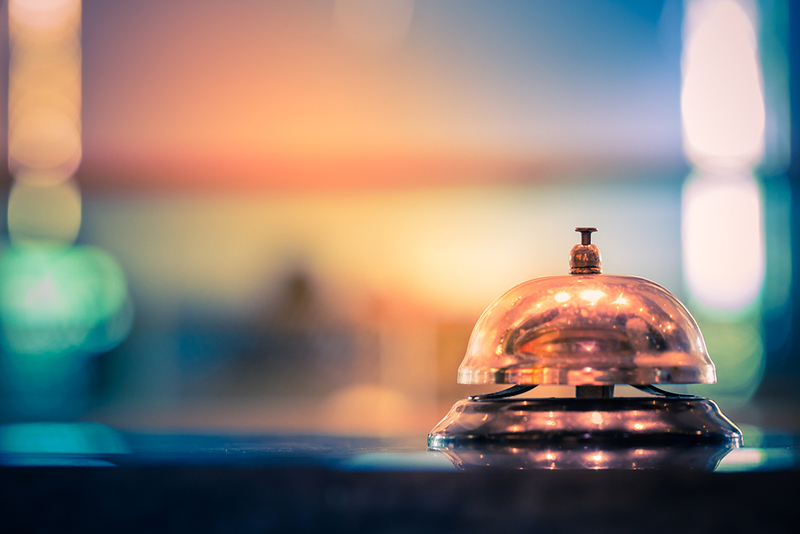 Hospitality business management focuses on operations under the tourism umbrella–lodging, attractions, transportation, and food and beverage businesses. This broad and opportunity-rich industry represents a large and growing portion of the world’s economic output. The people who are most successful in this field have a mastery of industry-specific knowledge, theoretical and applied management methods, interpersonal skills, leadership competencies, and teamwork strategies. 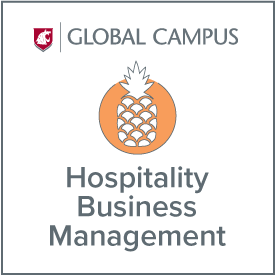 WSU’s hospitality business management program, offered entirely online, is designed to help you learn the fundamentals you need to advance in this fast-growing and wide-ranging industry. Acclaimed WSU faculty members bring extensive hands-on industry experience to the curriculum. You will gain expertise in operations, revenues and cost controls, sales, service, event planning, and leadership. You will learn to apply those skills to careers at hotels, restaurants, sports and convention centers, senior living communities, and tourist destinations, both in the U.S. and across the world. WSU’s hospitality program was established in 1932, making it the third-oldest such program in the U.S. It consistently ranks among the nation’s top 10 hospitality programs and is part of WSU’s AACSB-accredited Carson College of Business. The Culver Hospitality Relations Manager works with students and employers for internship and graduate placements. As part of the program, students work 1,000 paid hours in the hospitality industry, providing career connections and raising their profile for corporate recruiters. Students can apply to spend a semester studying at the Brig campus of César Ritz Colleges in Switzerland. Students must also complete the College of Business graduation requirements and the hospitality business management degree program requirements. Upper-division electives include courses from ACCTG, B_LAW, ENTRP, HBM, I_BUS, MGMT, MGTOP, MIS, MKTG. The College of Business has a six-credit international experience requirement to help students develop the skills to succeed in the global marketplace. A variety of options exists to fulfill this requirement, including study abroad, international internships, and approved coursework.